Indie game sensation Minecraft – well loved on the Train2Game forum – is entering its Beta testing phase. 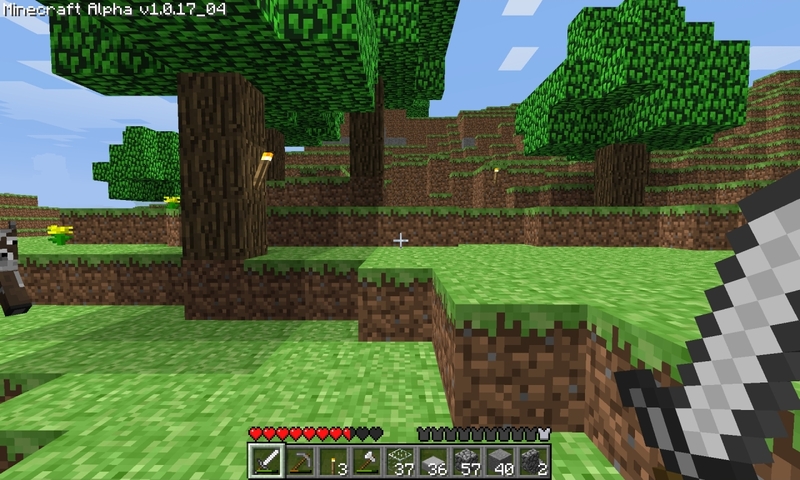 The news was announced by Minecraft creator Marcus ‘Notch’ Persson on his blog. The biggest news, that is if you haven’t yet bought the Alpha version, is that the price will be rising from €9.95 to €14.95. The Beta version of Minecraft will also change the license to remove the line that all future versions of the game will be free. So if any Train2Game students want to invest in Minecraft before it moves out of the Alpha stage – and therefore get it for the cheapest price – you have until December 20th to purchase it from Minecraft.net. The Minecraft Beta will also come with “a larger focus on polish and content” and Notch says he’d like input from modders on this – it could be a great experience of Train2Game students! The Beta will also see the introduction of a story mode. “With Beta comes a larger focus on polish and content, and we’ll start early on with adding proper modding support with a stable API, and we’d love all input we can get on this from the modders out there. We’ll also add some kind of non-intrusive narrative to the game to help drive the game experience early on, and to provide some kind of late game goal. There will be a bigger focus on testing and stability as well, with more time between updates. Soon, you will be able to buy gift codes for Minecraft, perfectly timed for the holidays! Even better, if you buy those before December 20, accounts created from these codes will count as alpha accounts, and will receive all future updates for free”. Minecraft is a brilliant example of an indie developer producing a hit game that provides huge amounts of inspiration on students on the Games Design, Games Developer and Games Artist & Animation courses. The game has been purchased digitally over 750,000 times and brought in over $10 million. You can see a more in depth look into the history of Minecraft and the games development in this post on the Thoughts of Train2Game blog. You can also get involved with the ongoing discussion about Minecraft on the Train2Game forum where many Train2Game students have been sharing their experiences of the sandbox game. So Train2Game, if you’re yet to purchase Minecraft, are you tempted to do so before the game enters Beta on December 20th? What are your thoughts on the price increase? And if you’re already playing Minecraft, what are you looking forward to in the Beta? You can leave your thoughts about Minecraft entering Beta stage here on the Train2Game blog, or on the Train2Game forum. This entry was posted in games, Train2Game and tagged Games design, Games Developer, Minecraft, Train2Game by Train2Game Blogger Team. Bookmark the permalink.